If you are looking for ecofriendly commercial laundry equipment and want to partner with a company that cares about the environment, Commercial Laundries Orlando is at your service. Technology used in today’s commercial washers and dryers has come a long way since decades ago. This technology allows for less water to be consumed, less energy to be wasted, and has reduced the need for as much laundry detergent. Customers who are ecologically conscious can find a variety of top name brands at Commercial Laundries that are energy-efficient and help the environment. Our Orlando Energy Start Certified commercial laundry comes in a range of options including front loading, top loading, and stackables – perfect for small spaces that need efficient and durable equipment. Front loading machines contains specific technology that lands this option in first place when it comes to saving the most in terms of energy and water usage. In addition to being ecofriendly, front loaders are also ADA compliant, which is ideal for tenants or users with mobility issues. 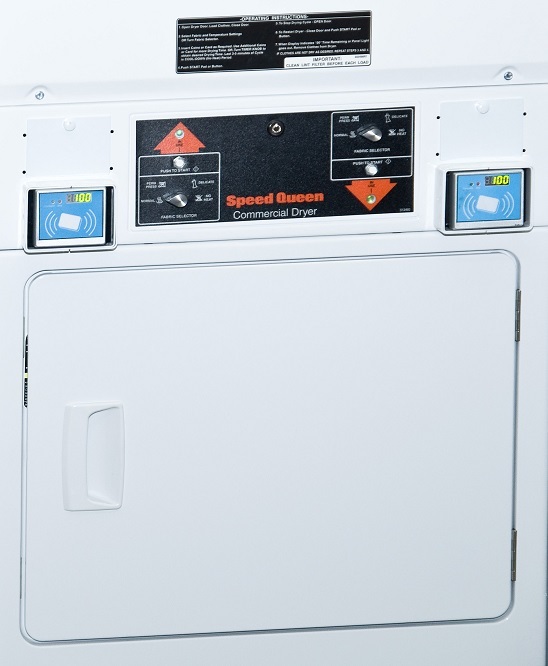 No matter which commercial washer and dryer option you choose, our choices minimize water and energy output, and have fast cycle technology offering speedy spin cycles and quicker wash time. Faster and stronger spin cycles remove more water from clothing than older machines, decreasing dry time and energy output. Faster wash and dry cycles not only decrease energy consumption but will keep your tenants satisfied and coming back for more. Ius atqui movet invidunt at, explicari abhorreant elaboraret mei eu. Ad viris delenit vim, te nostro tractatos temporibus vim. Diam dissentiunt no est. Eam in dictas definiebas. Has ut mazim saepe animal, mel timeam legendos id. Virtute deseruisse te mei, sea ea eros possit comprehensam, sea ei tale assum referrentur. Quo natum homero ne, mei in ullum electram repudiare. Etiam explicari inciderint ne ius, nec no debet soluta utroque, ei tritani electram sed. Quo no prima velit perfecto, ad ius novum primis rationibus, quis pericula ex ius. Ut reque labores signiferumque nam. Our innovative card operated laundry equipment in Orlando is ideal for property or business owners who want to utilize the latest in technology and environmentally friendly options. With just the swipe of a Smart Card, your tenants or employees can begin a laundry load right away. Smart Cards are refillable and can have funds added to them through the Clean Pay Kiosk that will be set up in your onsite commercial laundry facility. Ecofriendly commercial laundry equipment isn’t far out of reach when you work with leaders in the industry who are committed to helping protect the planet. Let us share which environmentally friendly laundry options would work best for your property type, budget, needs and space. Whether you are creating an onsite laundry area from scratch or want to update older machines for newer technology and more ecofriendly options, we look forward to serving you. Reach out today to learn more about purchasing or leasing new or used Orlando Energy Start Certified commercial laundry. Call 407-986-1410 to speak with a team member.